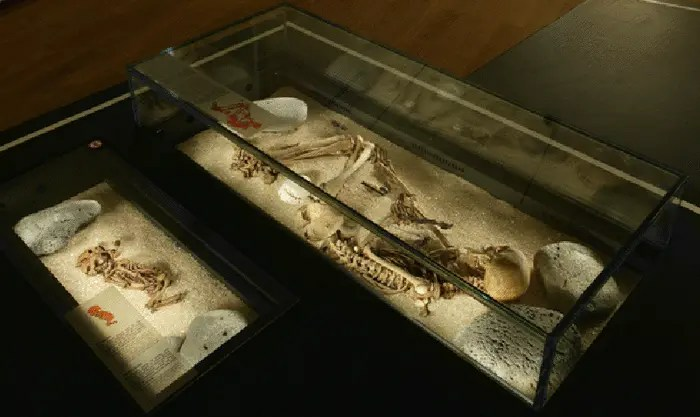 One of the most moving artifacts of the <title=”The Icelandic National Museum” href=”http://www.thjodminjasafn.is/english/” target=”_blank” rel=”noopener”> National Museum of Iceland is the skeleton of a tiny infant from the pagan viking age embedded in the floor of the museum. If you are excited about joining a tour with a historical flavor here in Iceland, there are a lot of them available. This is one of the three replicas of viking age burial sites (or “kuml” as those pre-Christian age graves are known in Icelandic) that are on permanent display in the viking age section of the museum. The child´s grave did not have any grave goods for use in the afterlife for the dead person. This is in contrast to the burials for adults which often had rich array of grave goods. I do think that the grief of his or hers parents must have enormous nevertheless. Perhaps that grief was magnified by the lack of the place infants or babies had in the pagan afterlife. Or it might have tempered by the high death rate for infants. Who knows, these were different times. At least the relatives of this long dead infant decorated the grave by carefully lining up stones to demarcate the grave. Two examples of Viking age graves or “kuml”. The infant “kuml” is on the left. The Icelandic National Museum is an unassuming place but in some way it manages to display its artifacts in a way that tell the story of the peculiar and remote island country Iceland from its Viking age origins to modern times in a captivating way. The museum covers the whole history of Iceland in great detail but in this blog post we shall limit ourselves to just the Viking part of the museum and only a fraction of that to be sure. In any case, there are a few sets of artifacts from the viking age on the permanent display of the Icelandic National Museum that always capture my imagination when I look at them. I suppose it would take pretty many blog posts to fully cover this shrine of Icelandic history and culture and since I am a certified museum addict you may expect more blog posts about this museum which incidentally celebrates its 150th birthday this year. Hurrah! Firstly I want to mention the Viking age equivalent of chess, the so called “hnefatafl” in Icelandic (or old Norse!). It is just a collection of rounded pieces and a statuette. The rules of this game are obscure but there have been modern attempts to recreate it. What makes this particular set so interesting is that it comes with that statuette. 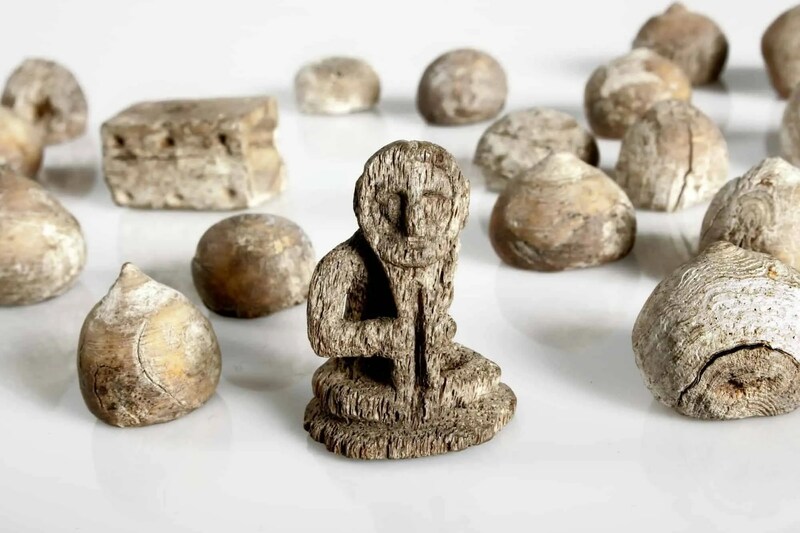 It is the only human image preserved from Icelandic viking times and I wonder who made these pieces, played with them and who was the role model for that small human image if any. Pommels of Viking swords. Swords were expensive weapons and often only wielded by the high and mighty in Viking age society. Of course the collection of viking age weapons certainly fires up the imagination. 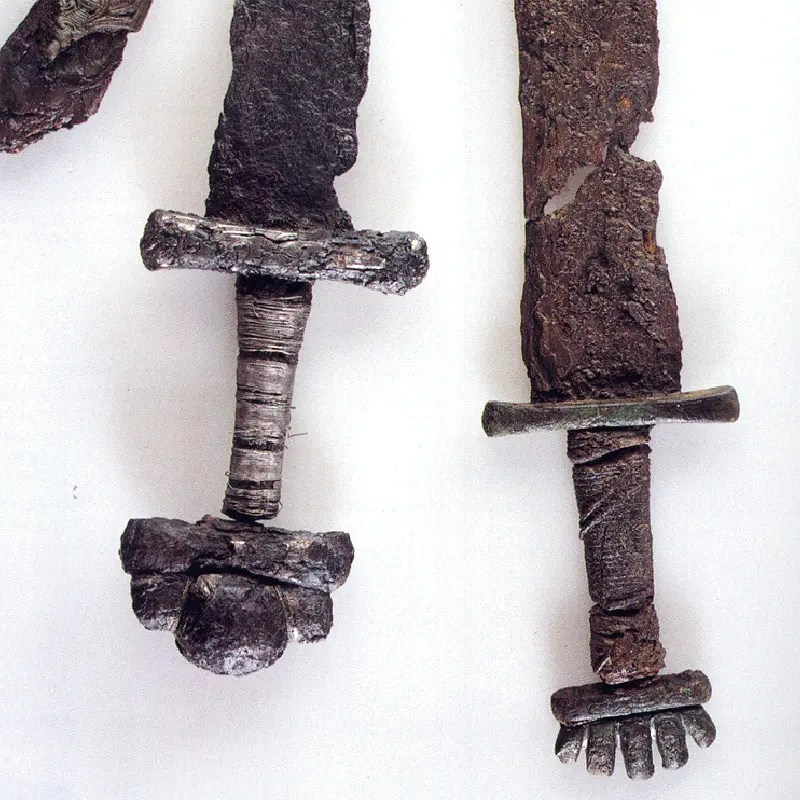 Swords and particularly arrow heads are a lot rarer finds than spears and axes. The axe was the most common weapon, perhaps it could be used for many other purposes than killing other people. A fact that us modern people do not consider a lot is that even minor wounds from these weapons could well be deadly as there was a limited ability to cure infections. Another set of captivating pieces of Viking archeology are the broaches worn by women to fasten cloaks. 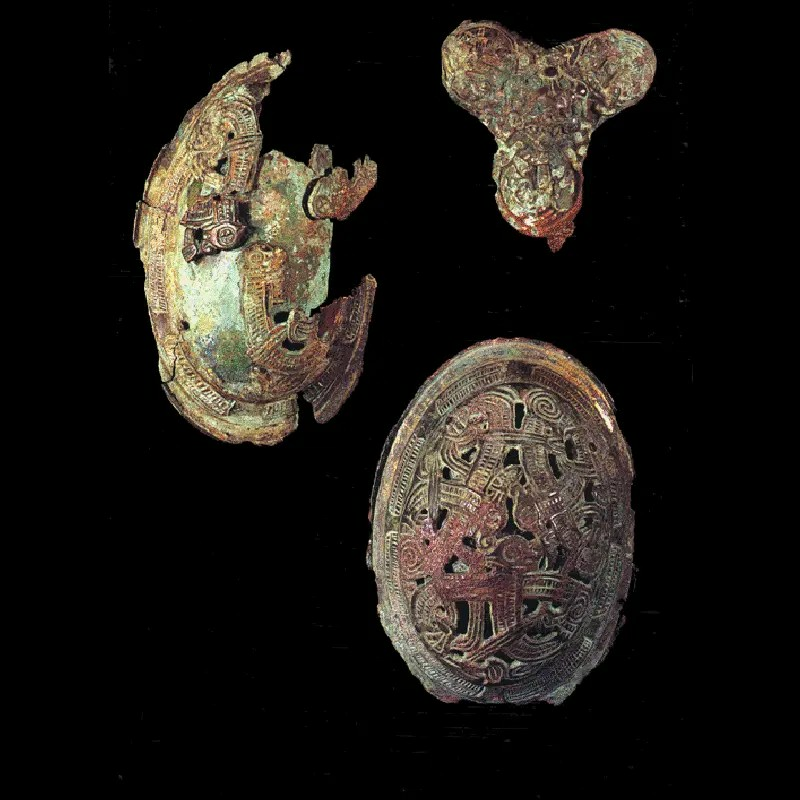 Some of the broaches found seem to have originated in the Baltic and point to the wide trade networks that the Vikings had. A broach from that area of the world may indicate settlement by people from that area or that a Viking tradesman or raider brought home a foreign wife from his travels or presented his long suffering wife with a mighty gift to appease her. In any case, are truly magnificent pieces of art. A neat feature of the museum is the outline of a typical viking ship that the settlers would use on their week long journey to Iceland. This shows the size of a typical Viking ship used in trips across the Atlantic. Considering the hazardous and long journey from Scandinavia or the British Isles to Iceland the prospect of huddling up sea sick on such a small vessel with life stock and lots of people seems not that appealing. To be fair, it is believed that the sea journey from Norway could take as short a time as three days if you were very lucky. But it could take weeks or you may never get to your destination. All Hail Ceasar Islandicus Maximus! Roman coins from the third century and a fragment of a second century Roman cup have been found in Iceland. There are some rather far fetched theories of Romans from Britain sailing to Iceland. This is not t impossible of course. It is more likely that the Roman coins were part of loot from Britain and brought here by Viking settlers. I like the theory of an intrepid crew of Roman adventurers coming to this mysterious island in the north. They would lose their coin purse and return home broke. But they could brag about finding a distant land where the sun never sets. Nobody probably believed them. Another noteworthy museum for those who are keen on Viking history and Icelandic origins should visit the Reykjavík 871 +/-2 – The Settlement Museum. The Icelandic National Museum is close to Reykjavik airport and the city centre.